Tis The Sea Sun: An orangey red creme. For Best Results: Apply one coat of China Glaze Strong Adhesion Base Coat once that has dried apply one coat of Tis The Sea Sun and wait for this to dry then paint on another 1-2 coats depending on your desired opacity. 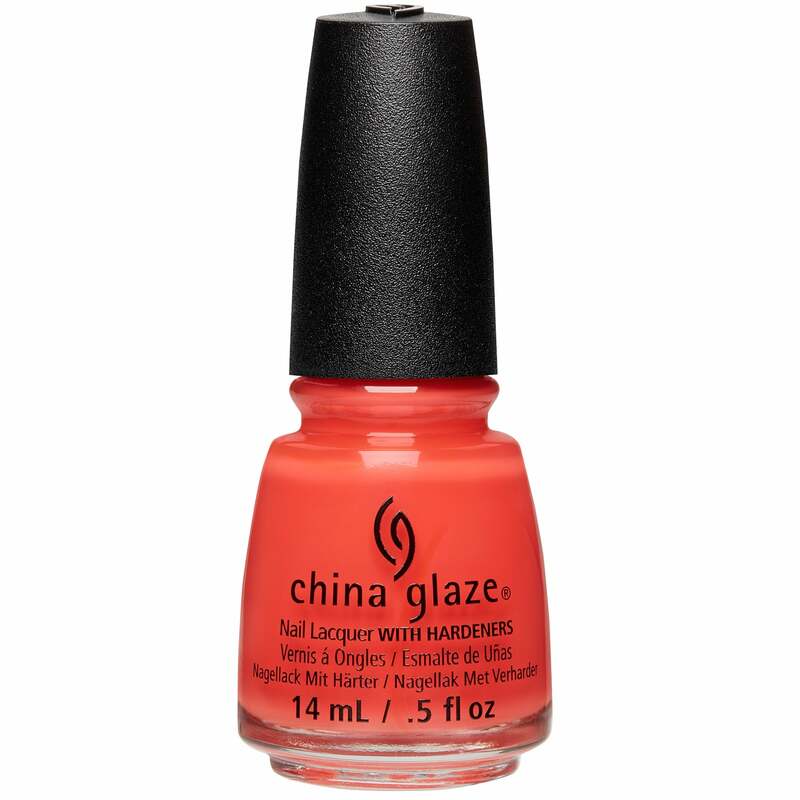 Once your chosen lacquer has dried apply China Glaze No Chip Top Coat.